Color: natural wood, yellow, green, pink, peach, blue. They are completely safe for your child - made from wood. Suitable for children from 3 years of age. Please note that colors can vary from originals depending on computer monitor’s settings! The product in the photograph represents a sample only. Actual order may slightly differ from photo! Purchasing an item does not transfer the rights for using photographs, they are copyright protected and may not be used without my permission! Although the parcel will be marked as a gift, international buyers are responsible for duties, customs and taxes! Thank you for purchasing our handcrafts.We guarantee your 100% satisfaction on all our sales. We value every our customer. If you have any questions please feel free to contact us. We send items worldwide by Registered Priority Air Mail. Feedback is greatly appreciated. Thank you ! Shipping terms you can find in shop policies ! Got the yellow star wand. Exactly as described. Good material. Fast shipping. Good communication. Thank you! I accept Visa, MasterCard, American Express, Discover, or regular account payments through PayPal. No, you are not required to have a PayPal account to place the order, you can use your credit card. Although if you already have a PayPal account you may use it. I respect my clients and if something goes wrong, please contact me and I will help you. If received goods are not as described or it is damaged because of transportation, I will issue a refund. Items can be returned within one week after receiving it. Buyer will be responsible for return shipping costs. If items are not picked up from post by buyer and order is shipped back to me, buyer is responsible for repeat shipping cost. You are NOT responsible if your order is lost in mail, I will do my best to help you. Please check shipping terms when you buy or on your bought orders. 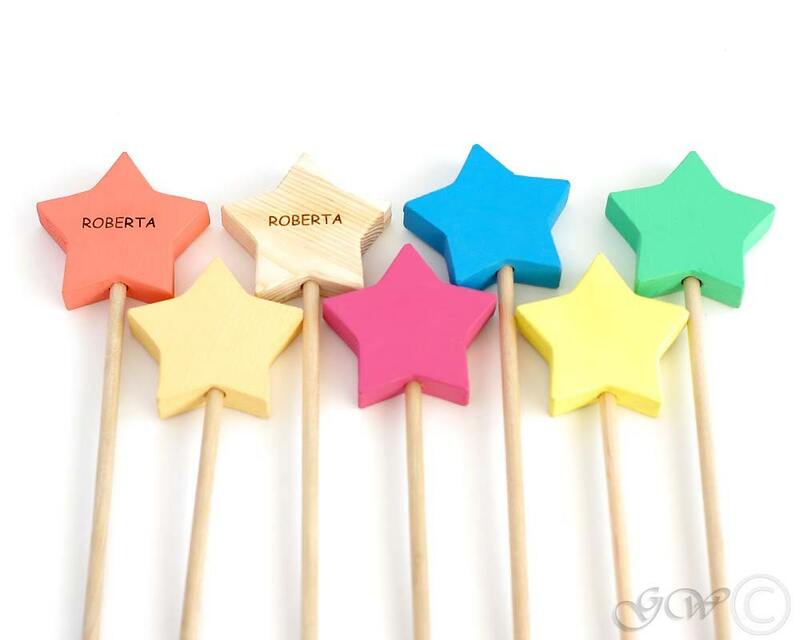 Personalized items requires more time to make them special for you. I always try to ship as quick as possible in order you could get your purchases faster. I use only registered priority male, except for items with free shipping. Shipping to Europe takes 3-7 business days. Shipping to USA and Canada 5-12 business days. Other countries delivery may take up to 15 business days. Usually shipping is quite fast, but it only depends on postal services. Shipping is faster for bigger parcels, for example such as swings.